We now have the 2016 Australian Kangaroo 1oz Silver Coins available to order. They were released on 21st September, 2015. Due to high demand there is currently a delay on these. We received our first delivery on 10th November, 2015. Order 250 coins and we'll include a monster box for free! 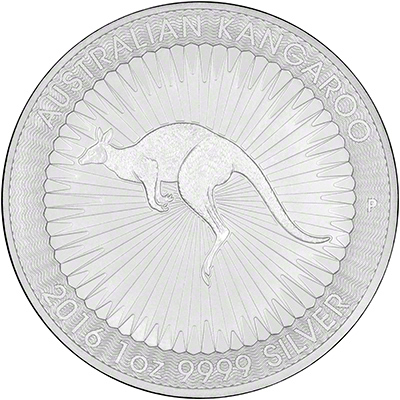 In 2015 the Perth Mint, in Australia, stopped production of the 1oz silver bullion crocodile coin and instead replaced it with a new 2016 bullion coin - the kangaroo. The Perth Mint already have series of coins featuring the animal, gold nuggets (or kangaroos). The silver coin is not to be confused with the other 1 ounce silver kangaroo coin which is issued by the Royal Australian Mint. The kangaroo is Australia's national animal. There are more kangaroos than the population of people in Australia. Kangaroos are social animals that usually stay in packs. 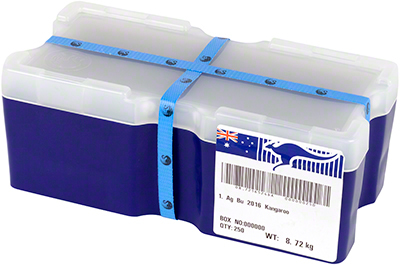 These can consist of 3-4 kangaroos, but may contain over 100. A baby kangaroo is called a joey. A baby is born early in the development process and then lives inside the mothers pouch until it is fully developed. The reverse design features the classic red kangaroo design by Dr Stuart Devlin AO CMG, goldsmith and jeweller to Her Majesty Queen Elizabeth II. You may recognise this design from the gold nuggets. 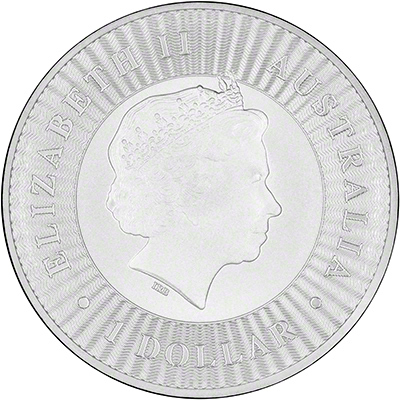 The Perth Mint’s traditional ‘P’ mintmark can be found on the right of the reverse. The obverse features the Ian Rank-Broadley effigy of Her Majesty Queen Elizabeth II. These coins feature the Perth Mint's first use of an authentication feature. 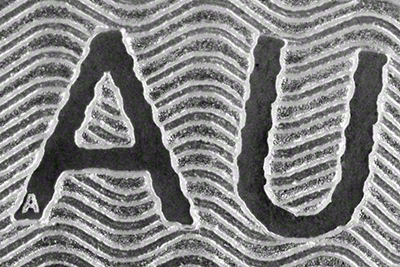 Each coin features a micro-laser engraved letter ‘A’ which is within the first A of AUSTRALIA. It is only detectable under a magnifying glass. The kangaroo coins do not come in capsules. Our price reflects this, making them our cheapest Australian 1oz Silver coins. The coins are sent to us in tubes of 25, which are housed inside a monster box. Whereas most monster boxes tend to contain 500 coins, the kangaroo boxes have 10 tubes of 25 coins - 250 coins altogether. Maybe they should call it a joey box? Unless ordered in multiples of 25, we will not send the coins in their tubes. If you purchase in quantities of 250 then we can provide the coins in a sealed 'monster' box. We will have the 2016 gold Year of the Horse coins in stock. We will have the year 2016 gold Nuggets in stock. We will have the year 2016 silver Year of the Monkey coins in stock. We will have the year 2016 silver Koalas coins in stock. We will have the year 2016 silver Kookaburras coins in stock. Alloy = Fineness of silver content. Silver Content = Fine silver content in troy ounces. Thickness = Maximum thickness in millimetres.